Is there a better alternative to PDF Merge Split? 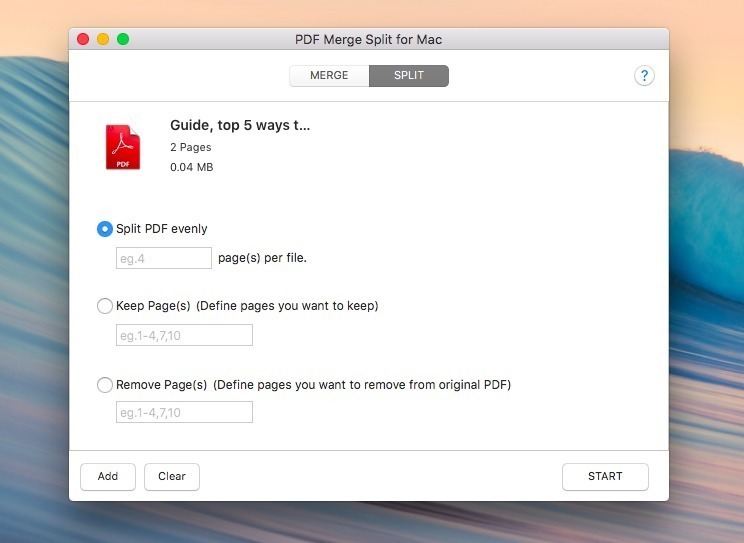 Is PDF Merge Split really the best app in Productivity category? Will PDF Merge Split work good on macOS 10.13.4? PDF Merge Split merge PDFs into one and separate PDF pages. Fast Equipped with a reliable engine. Application can merge and split PDF documents on Mac with fast speed. Stand-Alone, no Adobe program needed. Simple to use with it`s intuitive interface. Complete merging and splitting PDF files within only 3 steps! No need to sign up. PDF Merge Split needs a rating. Be the first to rate this app and get the discussion started! Drag and drop your PDFs, arrange the order and set the pages number, then click 'Start' button to process combination process. 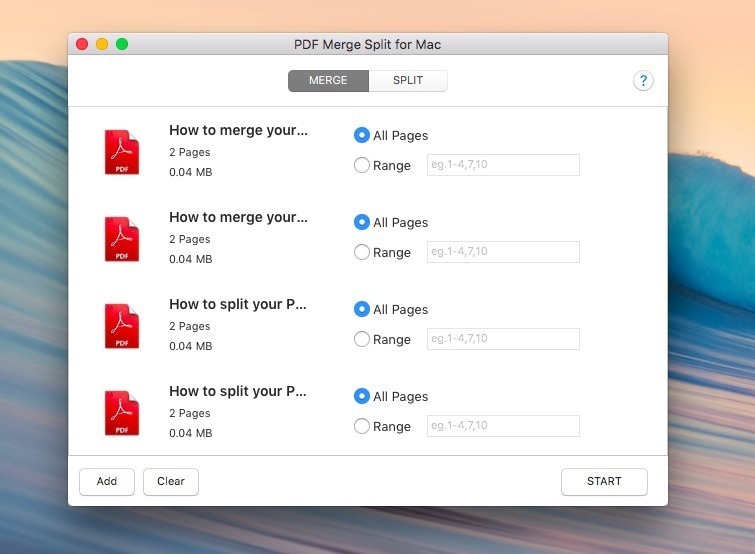 Split PDFs on Mac If you are confused how to cut PDFs on Mac, PDF Merge Split Free could serve you for free. You can split a PDF evenly. You can also remove pages by entering pages number. In addition, you can take PDF Merge Split Free as an alternative method to extract desired pages from the original PDF.